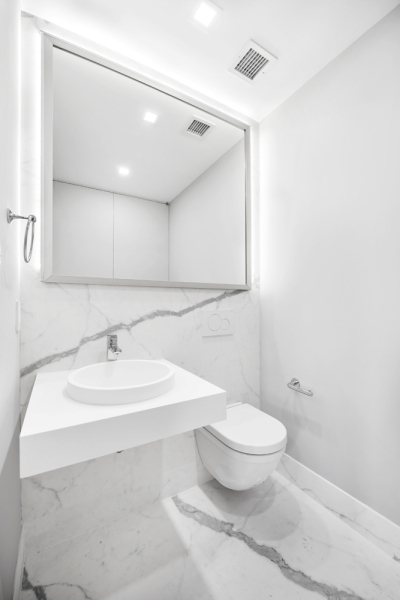 Guest Bathroom with double vanity and beautiful Porcelanosa tiles. Guest bedroom with full size bed, 2 exposures and custom walk-in-closet. 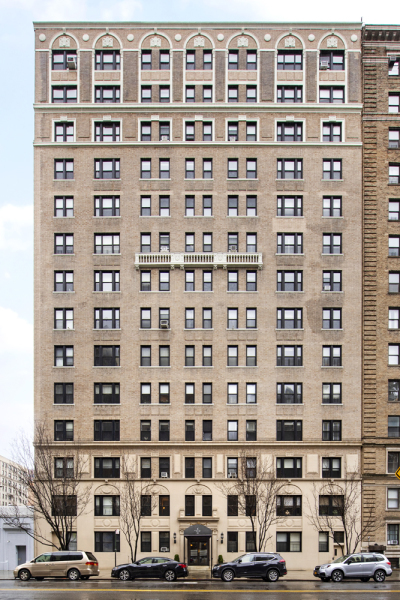 610 West 110th Street is a full-service pre-war condominium located on Cathedral Parkway. The apartments offer generous space and gorgeous pre-war details. 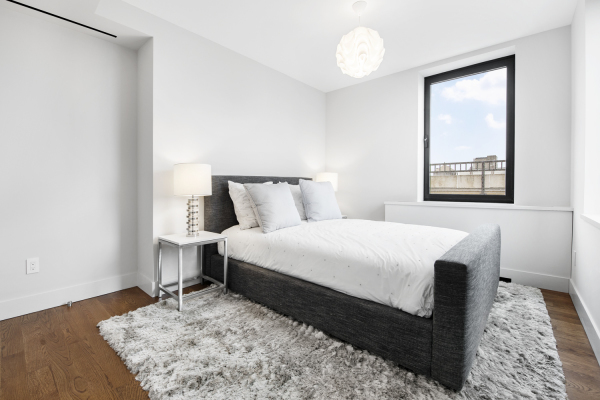 Amenities include a full-time doorman/concierge, live-in super, outdoor patio, a bike room, laundry, and gym. All NEW SPONSOR UNIT!!! 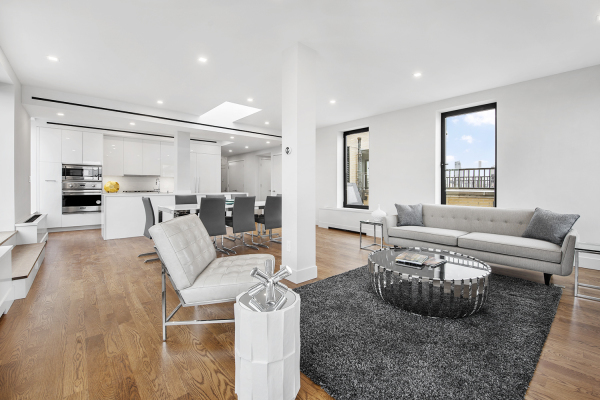 Just one flight up to reach this oversized 3 bedroom penthouse that has just undergone a complete renovation from top to bottom. 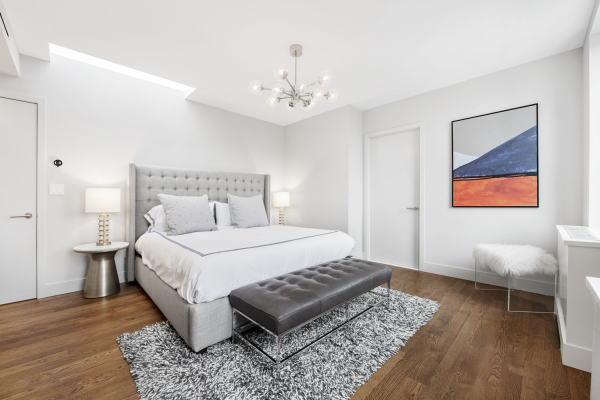 With brand new openings to let in generous sunlight, 2 double doors leading out to your private terrace, and 3 skylights, you never need to turn on a single light to bask in daylight. 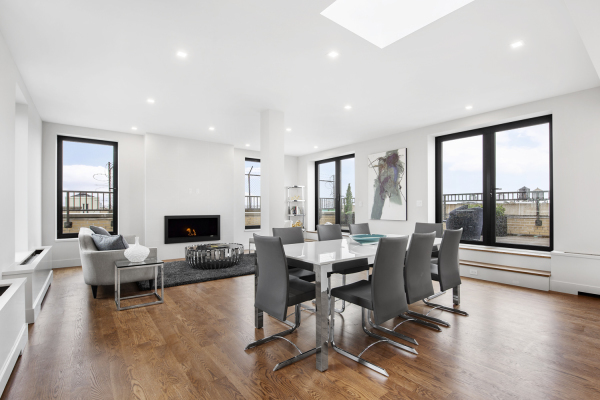 The open concept great room leads out to an enormous private terrace with breathtaking views of the Hudson river and New Jersey. 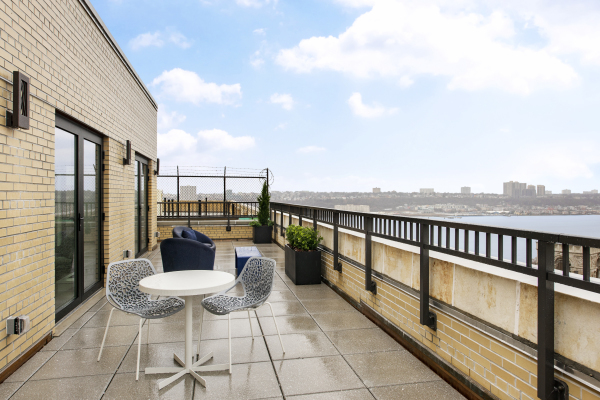 The brand new terrace features beautiful gray pavers, outdoor lighting and electric, and ample space for furniture. 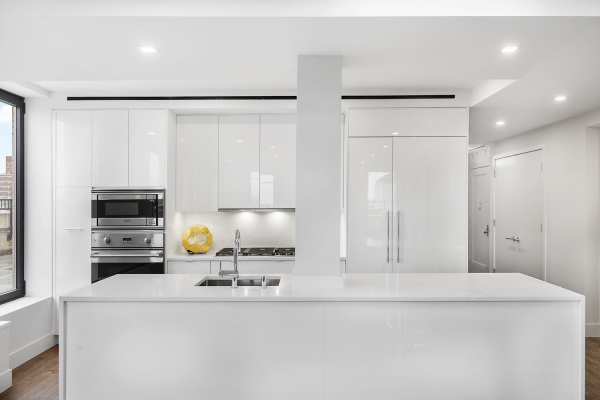 Enjoy cooking in your custom kitchen with white, high gloss, Brookhaven cabinetry and top of the line appliances including a Subzero fridge, Viking dishwasher and oven, Wolf range and a Miele built-in hood. 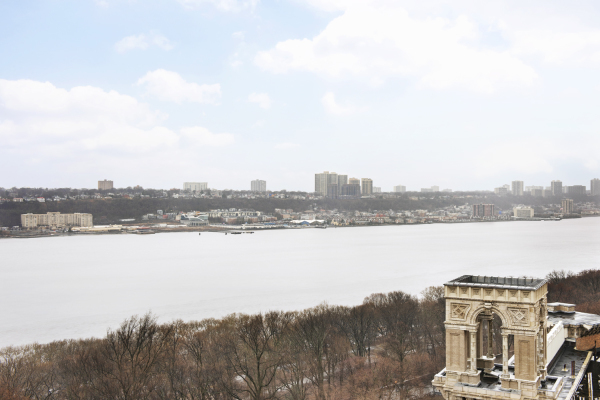 Enjoy the river views and the blaring fire from your working fireplace as you stand at your large Calacatta Nuvo island. The kitchen also includes a wine cooler. 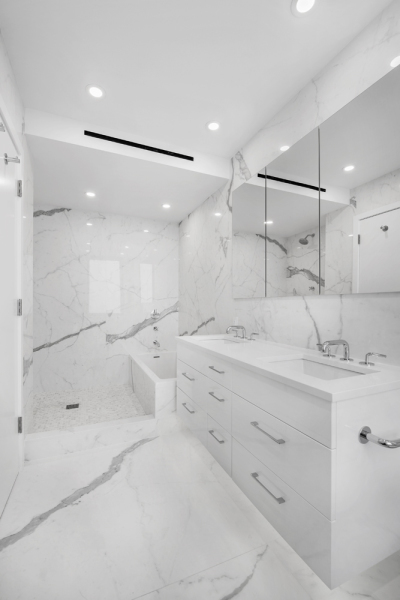 Your guests can use the beautiful powder room complete with Porcelanosa Kala White Nature slabs and floating sink. Enter into your private bedroom hallway, flooded with natural light, to access the bedroom suites. 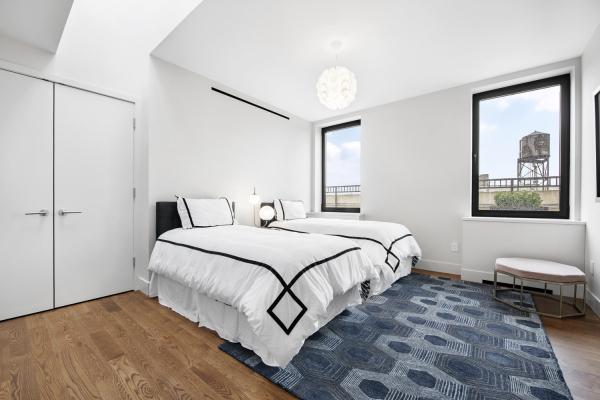 The generous master bedroom has a huge, custom walk-in-closet with ample storage space. 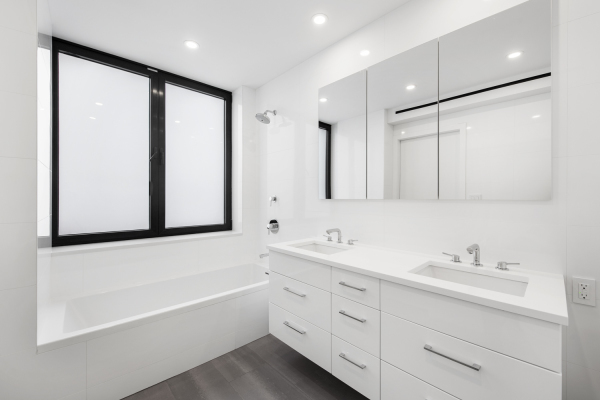 The windowed master bathroom features in-floor heating, a large shower with Waterworks fixtures, separate tub and a double vanity. The 2 large guest rooms each have 2 windows and a custom closet. Additional features include central air, a side by side washer/dryer, ample closet space and North, South, East and West exposures.